This is all very funny. Today I am a star – and tomorrow? One of my favorite actresses is the stunningly beautiful and incredibly talented Isabelle Adjani. 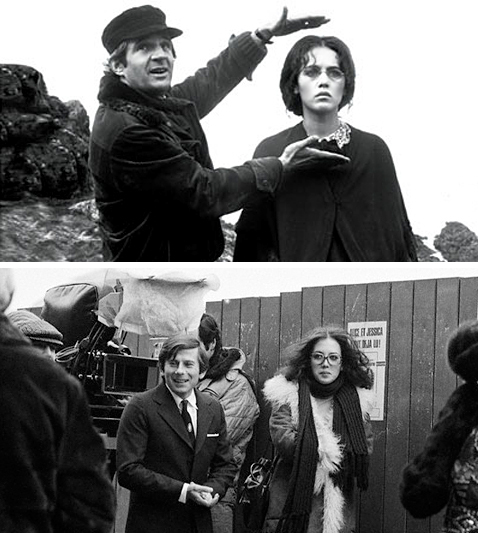 Like many lovely actresses, it would have been easy for Adjani to take glamourous roles during her lifetime that accentuated her beauty and relied on her batting her big blue eyes, but instead she has chosen to appear in challenging films that give her the chance to show off her amazing acting skills. Isabelle Adjani is forever battling madness in her movies while trying to make sense of the world around her. Her characters effortlessly glide through centuries and costume changes, but all of them seem to posses a ferociously independent spirit and passionate heart. When she was only twenty years old Isabelle Adjani appeared in François Truffaut’s masterful The Story of Adele H (a.k.a. L’ Histoire d’Adèle H., 1975) playing the daughter of the great French writer Victor Hugo, who becomes obsessed with a British lieutenant named Albert Pinson and is determined to make him love her. Adjani turns Truffaut’s beautiful historical drama into a horror film when her obsession leads to madness. She seems incapable of holding anything back while losing her mind to love. The role of Adele Hugo would set the stage for the rest of Adjani’s amazing career playing women who often suffered for love and were tormented by the men in their lives as well as their own inner demons. She has appeared in occasional comedies and more lightweight fare, but her dramatic roles in dark dramas and thrillers have always impressed me the most. During the 1970s and 80s she appeared in many of the decades best horror films and crime thrillers including Roman Polanski’s chilling The Tenant (a.k.a. Le Locataire, 1976), Walter Hill’s entertaining crime film The Driver (1978), Herzog’s fantastic remake of Nosferatu with Klaus Kinski called Nosferatu: The Vampyre (a.k.a. Nosferatu: Phantom der Nacht, 1979), Andrzej Zulawsk’s thoughtful and incredibly creepy Possession (1981), the fascinating thrillers Deadly Circuit , (a.k.a. Mortelle randonnée, 1983) and One Deadly Summer (a.k.a. L’ Été meurtrier, 1983), plus Luc Besson’s Subway (1985). During this period she also continued to appear in critically acclaimed dark and disturbing historical dramas such as James Ivory’s Quartet (1981) and Bruno Nuytten’s remarkable Camille Claudel (1988). She should have easily walked away with the Oscar in 1990 for Best Actress for her role in Camille Claudel which she was nominated, but she lost to Jessica Tandy in the rather dull, dreadful and terribly overrated Driving Miss Daisy (1989). In the 90s Adjani started acting less and less and chose to spend much of her time raising her two sons by director Bruno Nuytten and actor Daniel Day-Lewis. She would triumphantly return to the screen again in Patrice Chéreau’s excellent bloody historical epic Queen Margot (La Reine Margot, 1994), but she has only made a handful of films since then. Unfortunately most of her recent films are not easily available to American audiences which is a shame. Besides making movies, she also recorded an album in 1983 with help from songwriter and producer Serge Gainsbourg which included the hit song “Pull Marine.” The song was made into a fascinating music video by director Luc Besson which you can listen to and watch on YouTube. Today Isabelle Adjani is celebrating her 52th birthday. I wish her well and hope that she’ll continue to appear in films for another 30 years. I also hope that she will continue to take on roles that showcase her incredible acting talents and challenge her audiences. I love Adjani too. Rare to find a woman that stunningly beautiful with good acting chops, too. In France she has a reputation for being only slightly less batty than her roles, Mr. Campaspe informs me, but somehow I find that adds to her appeal. You name several films I have been meaning to catch up with. Sigh. I figure my film-viewing will pick up in a couple of years, but meanwhile it is difficult! I agree with you on this one — she’s fabulous. One Deadly Summer is an amazing thriller in desperate need of DVD distribution in the USA. I always thought it was interesting how Adjani and the other French actors in The Tenant were so obviously dubbed in English…it adds to the Polanski character’s alienation. If you’ve never read it, Roland Topor’s original novel is worth checking out — Polanski and screenwriter Gerard Brach completely altered Topor’s approach from subjective to objective, a cruel twist typical of the filmmakers. I just watched Queen Margot the other day, along, oddly enough with the 1948 version of The Three Musketeers. Not the usual Dumas pairing, I’m sure, but it was a lot of fun. She’s very beautiful. We were tossing around the comparison to Edwige Fenech, as they’re both similarly unnaturally beautiful and have similar coloring. I love Adjani enough to have even seen the remake of Diabolique. She was quite good in The Slap. Adjani is one of the few people who I will go out of my way to see in a theater. Flickhead – One Deadly Summer really needs a proper US DVD release! I believe it has been released in Europe as a region-2 disc but for some reason it hasn’t been released in the US. I was really impressed by Adjani’s performance in it when I saw it in the 80s and I really want to see it again. I have not read Roland Topor’s original novel of The Tenant. I love the movie (it’s my favorite Polanski film) so I really should check out the book. Neil – Thanks! Queen Margot is really impressive. The image of Adjani covered in blood wearing a red gown is hard to forget. She does have a Fenech quality. I think it may be the pale skin, dark hair and sense of venerability that they both bring to their roles. Peter – I had the misfortune of watching that Diabolique remake as well. Ugh! Adjani seemed to be sleepwalking through her role and she had no chemistry with Sharon Stone, but who could blame her? I’m afraid that I really disliked it. I have not seen The Slap, but I should give it a look soon. I love Adjani and it was nice to see such a thoughtful tribute to her. It’s funny I have no specific recollection of when I discovered her which is a bit odd for me, it is just like she has always been someone I have looked up to and have tried to see all of her available films. My two favorites are definately the Truffaut and Zulawski films. I find her to be so overwhelming in both of those roles and I think in the period between 75 and 85 she was the most untouchably great actress on the planet. I think, along with Nastassja Kinski, she is also the best at communicating her just her face, which is so incredibly expressive. I am thinking particularly of her work in “Nosferatu” and “Camille Claudel” which are two roles in lesser hands that could have been performed really poorly but she is so incredible in both. I remember how angry I was when Jessica Tandy one that award (it was also the same year that Michelle Pfeiffer was nominated for The Fabulous Baker Boys, another performance that I thought was incredible)…Andjani’s work in Camille Claudel is one of the most masterful performances I have ever seen. I just love her, she remains one of the most beautiful women ever filmed and very few actors have been as consistently brave and good as she has…I hope she continues to amaze us also. Thanks Kimberly for posting such an insightful tribute to a fine actress such as Isabelle Adjani. She definitely deserves it. She’s a stunningly beautiful woman, as well as a very talented actress. I’ve always found her performances outstanding in everything from “Nosferatu” to “Queen Margot.” Great job you did honoring her. I’m glad you did this profile. I’m not at all familiar with this actress, but now I’ll have to see some of her work (though I am still a bit more focused on directors and specific themes atm). Hello, I’m a french fan of Isabelle Adjani and I appreciate the way you talk about her, she’s so sensitive and would be so glad of what you wrote! Did you see her last movies? She’s amazing in “Adolphe” (a bit like “The story of Adele H” ) and the great “Bon Voyage”. I met her in september, after her extraordinary performance in the play “Mary Stuart”, everybody was impressed and she had a standing ovation every night. She received a lot of fans after and I could talk to her, she was very nice and spent a long time to talk with everybody. Well, I’m speacking a lot! Did you know she’s working again in front of a camera? She’s playing for TV “Les noces de Figaro” by Jacques Weber (an acclaimed theatre actor and director), with Denis Podalydés (great actor too, from la comédie française). She should also play in Maïwenn Le Besco next movie, with many great actresses (Monica Bellucci and Charlotte Rampling etc.). And her new album will be released on september, including duets with Etienne Daho, Seal, Youssou’n Dour etc. “Deadly circuit” and “L’été meurtrier” have been restaured for new dvd editions. Thanks for your reviews of her work. It was really interesting (and sorry for my english 😉 ). Great post. She was very good in Camille Claudel. I’m going to have to track down a copy of Queen Margot – I’m intrigued. Jeremy – Glad you enjoyed my post and it inspired you. I can remember being totally shocked when Adjani didn’t get the Oscar for Camille Claude. I thinks she was amazing in that role and easily deserved to walk away with it that year. Keith – Thanks! It was a fun post to write since I enjoy babbeling about my favorite performers. AR – I think you would really enjoy all the Adjani films I mentioned above. I hope you have the chance to check some of them out soon. I’d love to hear what you thought of them once you give them a look. Anna -Thanks! If you enjoy historical drama’s I think you would really like The Story of Adele H, Quartet and Queen Margot. 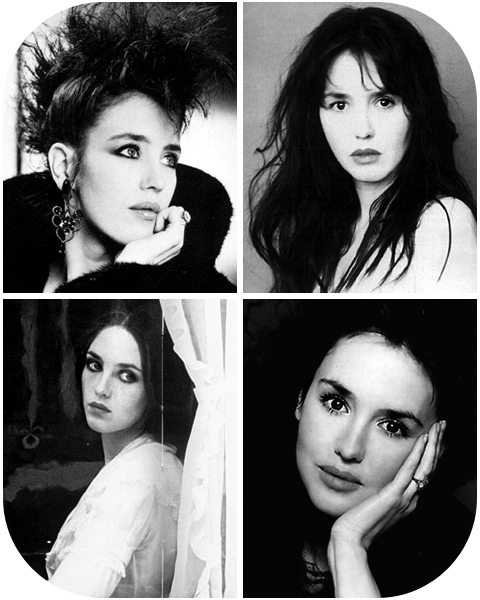 They’re all worth a look and Adjani is really memorable in them all.